The compressor rotor has a small clearance during operation, which guarantees high performance. However, dust particles can cause damage, degrade performance, and potentially increase operating costs. success compressor Air Filters can protect high-tech screw rotor. 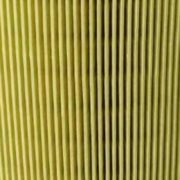 Our OEM success compressor Air Filters are made of imported filter paper, allowing a large amount of air to enter the machine freely with a small differential pressure. Far beyond the performance of other manufacturers’ components.